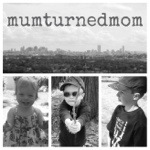 This week I am reading a blog, MumturnedMom. Sara is a Scottish mum who has moved to America with her husband and three kiddos. As a mom turned mum myself there are so many things I can relate to with her. The more I read her lovely blog and speak to her the more I think we are very similar in other things too. It’s a great blog so check it out. We are also reading (for the umpteenth time) Room on a Broom by Julia Donaldons and Axel Scheffler. It has become one of Buba’s favorites as well as Mommy’s. Sometimes there are books you really pray your kids won’t ask you to read again and again but this one, I never get sick of myself. With my mother-in-law visiting, she is in charge of the remote. So this week we happened upon the show, “the undateables” on channel 4. I notice it’s series 3 so it must be catchy. As I sit and watch it, or rather listen to it in the background as I blog, I can’t help but think, is this cruel? Obviously the people would have had to agree to being on the show, but did they know what they were really getting into? With various disorders, and putting themselves out in the spot light to find love just for our mere entertainment. Are we being entertained by people with disorders or are we being entertained by love? It’s a fine line. As a huge country fan living in the UK, I am determined to bring as much country here as possible. So I will share another one of my favorites, that I am listening to this week. This is is a great collaboration with Tim McGraw and Taylor Swift called Highway Don’t Care. This week I am attempting to catch up on Missy Moo’s first year scrapbook. I normally do digital scrapbooks for all our memories but for the first year of each child’s life I like to do a proper scrapbook, the old fashion way. With fancy scissors, and embellishments galore, the pages become thick as books. 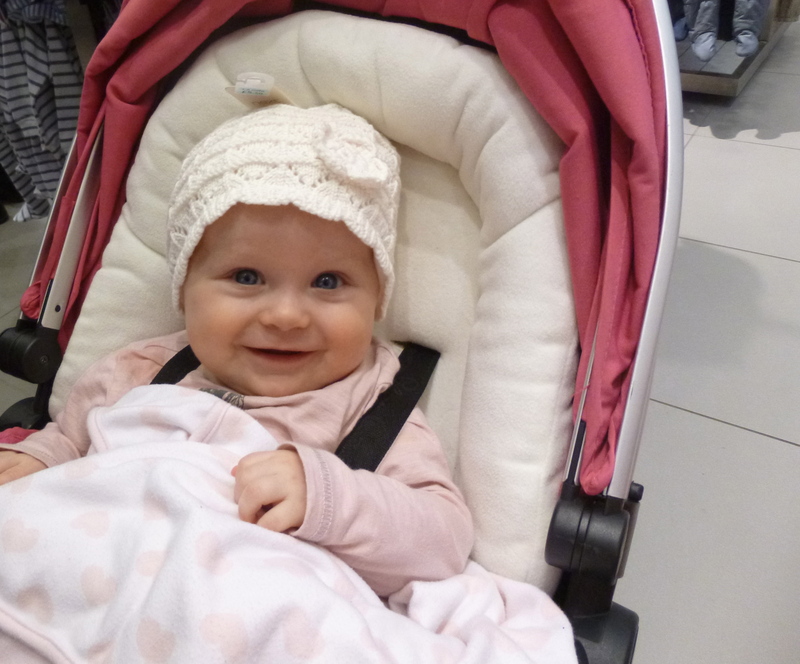 I am not wearing anything particularly interesting this week, or wearing any new products that I can rave about but I was very excited to buy Missy Moo a new hat from Next yesterday. I know, easily entertained. She just looked too cute in it, not to share. I will leave you with a question: Why do little boys have to play so rough? My two year old boy is becoming a WWE wrestler right before my very eyes and mommy seems to be his new subject. Firstly, how fantastic is your blog looking at the moment?! You would neveer guess that you are a new blogger! I’ve been watching the Undateables and I think it depends on the perspective you have when you watch it. As country fan you need to watch Nashville. Do you have 4 on demand? They have all of season 1 on there at the moment as they are airing season 2 soon. Thank you that means a lot to me, as I was so worried when I first started that no one would follow me and that’s why it took me years to even finally get the guts to start one. Yes I have 4 on Demand I forgot you recommended this. I am dyiing to catch up on it before the new one starts. Thanks for the reminder. Oh My Goodness how Cute is Missy Moo in her new Hat!!!! I know what you mean about The Undateables, I watched it for the 1st time last night and can’t decide about whether I like it or not. Thank you. She is so much fun too. Ya I keep watching it then thinking is this right or not. Think you have to be in the right frame of mind. Still can’t decide. Lol thanks for commenting and stopping by. No I didn’t know it was on tv. Will have to YouTube it. Lol yes I beg daddy to come home when he is in a wrestling mood. Think I would be used to it with so many brother. Thanks for commenting and stopping by. Hope to see more of ya. Oh that is so sweet. Buba tells me there is only room on his broom for his Missy Moo. lol not Mommy or Daddy but maybe Granny every once in a while. Kids are so fun. I love your blog, I think it’s absolutely beautiful.